The discovery of the pentaquark, announced in Stepanyi et al (2003). Phys Rev Lett, 91, 252001, illustrates the problem of finding bumps in histograms as evidence of the existenceof hitherto undetected particles. The later retraction of a claim based on a P-valuebelow 3 parts in a billion illustrates the need for some care in designing hypothesis tests. I will discuss the Poisson process models used and the resulting tests for missing components in a mixture. I propose to apply prior distributions describing the sought after bump and indicate the nature of resulting Neyman Pearson tests. The discussion has a few features which I think merit attention: 1) I recommend the use of sample size dependent priors to design good tests; 2) I draw an analogy between this problem and goodness-of-fit; 3) I am led to test statistics whose asymptotic law is that of the integral of a log-Gaussian process. If I have time I will discuss the potential use of priors in testing ill-defined null hypotheses. 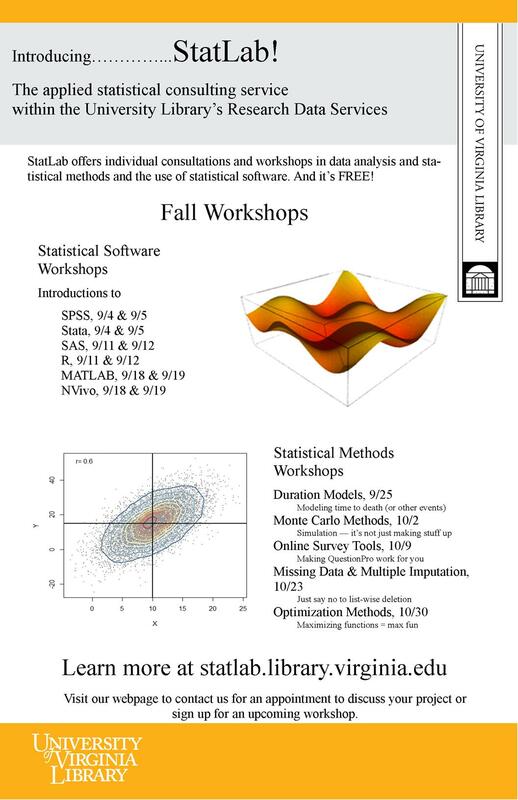 Introduction to R, the widely used open source statistical environment. Instructor: Kathy Gerber.